The Echo Show, which boasts a 10.1-inch display for recipes, videos, and hosting video calls with its camera, isn’t a slouch when it comes to sound, either. The screen means it’s capable of doing way more than the standard Echo, and you can pick one up for $179.99. If you don’t need a display that big, the Echo Spot should fit the bill. It’s $99.99, down from its regular $129.99 price point. 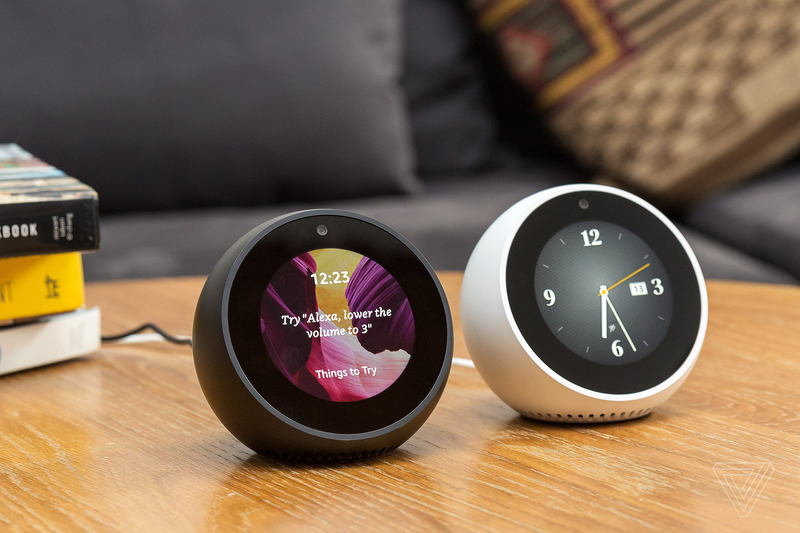 The Spot resembles a bedside alarm clock, though it’s a solid Alexa device that fits nicely into any room in your house. Next articleCan Alexa Chung make jelly shoes cool again?